I love this structure! The House of the Blackheads is a building situated in Riga’s Old Town. 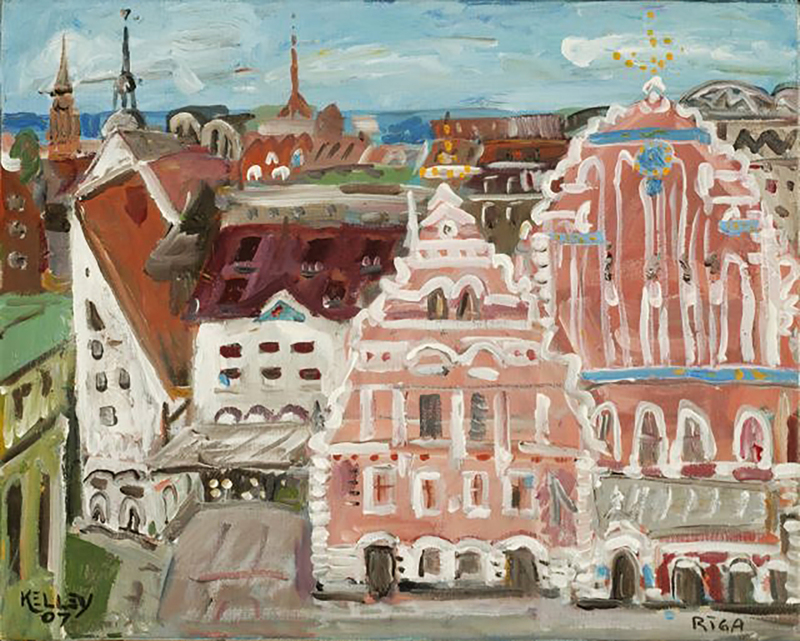 It was erected during the first third of the 14th century for the Brotherhood of Blackheads, a guild for unmarried merchants, shipowners, and foreigners in Riga. The building was bombed by the Nazis in 1941 and reconstruction took place between 1995 and 1999. I painted this in my Oregon studio in 2008. Acrylic on stretched canvas. 16 x 20 inches • 40.6 x 50.8 cm. Price:Not available. In a private collection in Littleton, Colorado.